Our Beer Talk Series features three informal talks with local brewers discussing beers from around the world. These brief talks will all be held here at Throwback Brewery, featuring our own brew staff plus a different featured guest brewer each time. 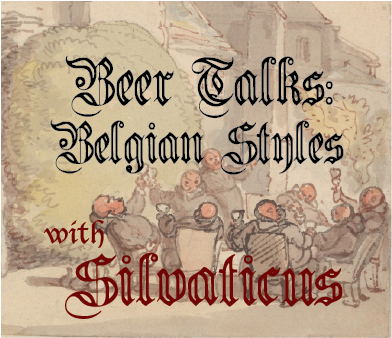 Join us for the second evening in this series, when we’ll focus on Belgian beers: a brief history, differences between Belgian and American yeast strains, and a side by side comparison of styles with guest brewer/owner Jay Bullen of Brewery Silvaticus. Tickets are $7 and include a sampling of Belgian style beers and a pairing of house-made Belgian Frites! Limited to 20 spots – grab your seat today!